Proudly representing the men and women of the Darien Police Department since 1962. Our thoughts and prayers go out to those officers our country has lost this year. In 2018, 148 Brothers and Sisters in Blue lost their lives in the line of duty. We have already lost 18 heroes in 2019. The DPA is raising money for the Leukemia and Lymphoma Society. Check out our most recent pictures below. You can see all of our photos here. 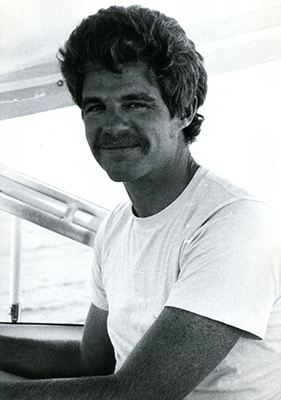 Officer Kenneth E. Bateman, Jr.
On May 31, 1981, at approximately 3 A.M., Officer Kenneth E. Bateman Jr. was shot and killed while investigating a commercial burglar alarm activation at a local fast food restaurant. Officer Bateman, a seven year veteran of the Darien Police Department, was just 34 years old at the time of his death. Prior to joining DPD, Officer Bateman proudly served his country as a member of the United States Navy. He left behind his wife, Barbara, and his parents, Kenneth Sr. and Gladys Bateman. The investigation into Officer Bateman’s death is ongoing. Anyone with information is encouraged to contact the Darien Police Department Detective Division at (203) 662-5330. View the reward poster. 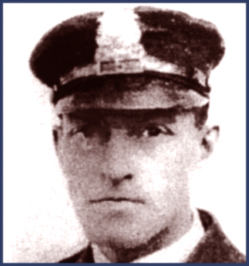 On November 18, 1927, Officer William Bowman was struck and killed by a vehicle while directing traffic on the Post Road. Officer Bowman had one year of service with the Darien Police Department. The Darien Police Association has proudly represented the officers of the Darien Police Department since 1962. The DPA is a not-for-profit organization that sponsors various activities designed to maintain contact and visibility with the local community, improve relations among its members, enhance working conditions and help negotiate wage and labor contracts with the Town of Darien. The DPA is led by an Executive Committee, comprised of President, Vice President, Treasurer and Secretary and a three member Board of Directors. Financial contributions allow us to support local organizations, to purchase additional safety equipment, to assist military veterans and families of slain officers throughout the country, and our retired brother and sister officers who are living on fixed incomes. Thank you for your generosity!